Credit Restoration Depot « You only go as far as you believe so DREAM BIG! WASHINGTON, Aug. 20 (UPI) — The U.S. Federal Trade Commission said complaints about aggressive debt collectors had jumped 73 percent since 2008, a symptom of a sluggish economy. “We’ve seen a high level of complaints, and I think some of it is collectors realizing in hard times they may have to press that much harder to get someone to pay,” the agency’s chief debt collection lawyer Tom Pahl said. “And a lot of them are pressing,” he said. The agency handled 180,928 complaints about debt collection agencies in 2011, making it the No. 1 industry it terms of complaints filed, the Los Angeles Times reported Monday. Roughly half of the complaints concern abusive phone calls. But complaints also involve legal tactics undertaken by debt collectors. Many of those complains involve debt collection agencies not checking facts on cases they pursue. “These folks are very aggressive,” said California state Sen. Jose Luis Correa, D-Santa Ana, who found his wages garnisheed over a debt of $4,329 allegedly owed to Sears. Correa contends that the debt collection agency had targeted the wrong man. Furthermore, he says he was never served court papers concerning any lawsuit filed against him. The court, however, ruled in favor of the debt collection company out of default, which it is allowed to do if a defendant does not show up for the trial. “I always pay my bills on time. Then to have somebody garnish my wages, I thought was pretty astounding,” said Correa, who had the garnishment stopped and also found the debt belonged to a different Luis Correa. In another incident, Katie Brown of Piqua, Ohio, got a phone call from a man who said he was from a legal aid service she had called to get help regarding harassing phone calls. But after freely divulging personal information, the man said, “‘Now let me tell you who I am,’” she said. He then revealed that he was the debt collector holding her debt. She is suing the International Asset Group Inc. of Amherst, N.Y., accusing them of false representation and debt collection harassment. A collection agent is either a creditor or is a representative of the original creditor. 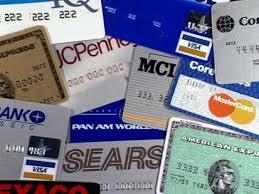 Both collection agents and creditors are bound by federal and state laws concerning the collection of debt. Specifically, the Fair Debt Collection Practices Act (FDCPA) and the Fair Credit Reporting Act(FCRA) are key laws regarding these issues. 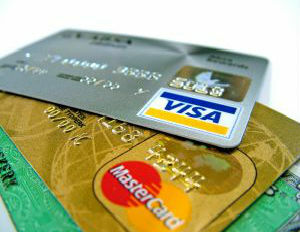 Most consumer debt contracts give the original and subsequent creditors the right to assign the debt. A collection agent buying a debt will do so for 5 to 50 cents on the dollar. The collection agent has the right to collect the entire balance due plus interest (state laws set the rules in this area), but does not necessarily expect to collect the full amount. A third party purchasing a collection account must abide by previous contracts between the parties. If a debtor creates a settlement agreement with a creditor, all subsequent assignees of the collection account take the account subject to its terms. Therefore, if a debtor has a legal contract with a previous debt collection agency, then any current party attempting to collect the debt is bound by the terms and conditions of the contract. Assuming that a contract stipulated no interest to accumulate or other fees, then the current agent may ask for immediate payment in full plus additional fees, but the debtor has no obligation to agree to the new terms. Collection agents can buy a fully documented account, which includes all of the invoices and records of the original creditor’s collection efforts. Or, the collection agent can buy a bare account with little documentation. A fully documented account is worth a lot more than a bare account. More on bare and fully documented collection accounts in a moment.